When is my remaining balance due? Your confirmation/receipt email, issued from Haunted Houses, will detail the date that your remaining balance must be paid by. This is usually 30 days prior to the event. Remaining balance details are also shown in your Account page on the website. It is your responsibility to ensure payment is made by the deadline, however, we will usually issue a reminder as the date approaches if payment has not been received. Failure to pay a balance on time could result in your place being offered to someone else. What happens if I or somebody in my group cannot make it. Can somebody replace them? If somebody is no longer able to attend then it is possible for you to re-sell or gift any places yourself to an alternative person. We do require to know about the name change prior to turning up at the door. Please email to us the new name(s) to info@haunted-houses.co.uk. Please be aware that anybody attending our events must be over the age of 18, and they must comply with all of our terms and conditions found on this website. What happens if I get scared? Haunted Houses Hosts are trained to deal with this and emotional intelligence is one of the skills we look for in our team members. All venues have a base room which remains lit and is also known as our SAFE ZONE. A team member will remain with you at all times and will be a calming influence. If very scared you are permitted to leave early but we cannot offer any full or partial refund sorry. Something has come up and I cannot make it tonight. If you cannot make the event tonight then please contact us on 07411 289 213 to let us know. Without doing so our Haunted Houses host will be kept waiting on the doorstep for a maximum of 50 minutes waiting for your arrival , concerned that you may be lost or worse. Is food and drink included on a Haunted Houses Ghost Hunt? Food is only included when stated in the event details. Most of our events include hot and cold drinks and snacks. All guests are welcome to bring sandwiches or personal snacks to our events if you wish too. Ford Green Hall Events require guests to purchase their own drinks and snacks via the onsite cafe. I’ve not received my booking confirmation yet… Am I booked onto the event? All confirmation emails are sent out automatically by our online booking system. Please make sure you have checked your junk or spam folder for a confirmation email before contacting us direct. Please add benji@haunted-houses.co.uk to your address book or safe sender list to ensure that our future emails, (such as the full event details) arrive in your inbox. If you have received a confirmation email directly from your chosen payment gateway (e.g. PayPal), then you can rest assured you are booked on and we are dealing with your booking. If you haven’t received this then please email benji@haunted-houses.co.uk to discuss your booking, as it’s likely we haven’t received payment. We run ticketless events at Haunted Houses; a guest list is operated on arrival which will have all your names down that you supplied to us at the time of booking. You do not need to bring any confirmation documents with you to gain entry. Can I get a refund if i cannot attend the ghost hunt? Haunted Houses Events cannot offer refunds or transfers for any of our ghost hunting events should you not be able to make it. To do so would be at the cost and loss of the company for no fault of our own. All locations and your places are paid for prior and we are unable to get a refund on your places. We do understand that sometimes situations outside of your control do happen which mean you cannot make it, these include but not limited to hospital appointments, personal illness, childcare issues and breaking up of relationships. Although we do empathise greatly in all situations we still are not able to refund any money paid for our events or transfer your booked places to another date. We operate exactly the same as when you book concert or theatre tickets and cannot attend. You may re-sell or gift your tickets to a third party who are over 18, but we will need to know the new names prior to arrival or admittance may be refused. Yes and No, Haunted Houses works in a very flexible way which can allow guests to conduct lone or small group vigils within the area you are working. Sometimes a venue gives strict instruction that guests are supervised at all times, or venues are that big we cannot risk any guest getting lost. In these circumstances we cannot permit own vigils sorry. 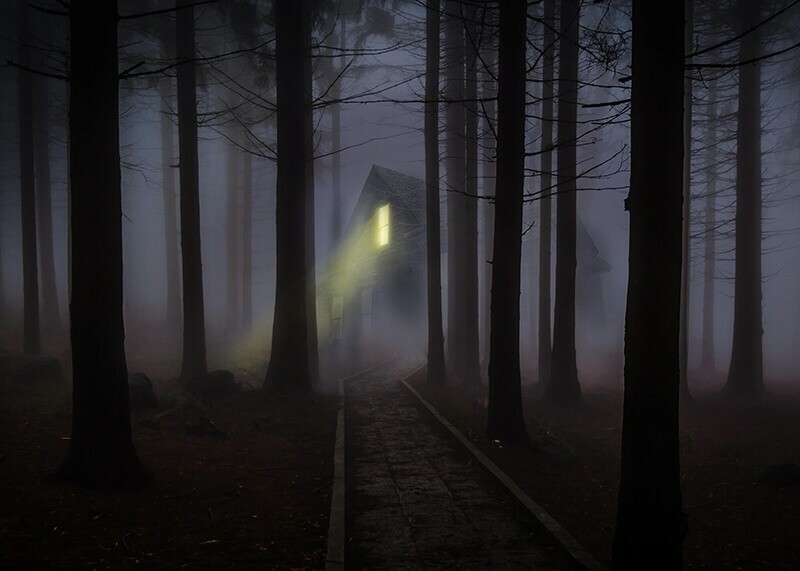 Haunted Houses is open to smaller investigation teams joining us on our events, and if the group is 7 or more we can keep these teams (if possible) into their own group with a Haunted Houses supervisor, which in effect will give you the freedom your requesting. We just ask that the group remains in the dedicated vigil areas and rotates around the building in tune with the event timings. Can I bring my own ghost hunting equipment with me? Yes of course but we always state that you do so at your own risk. Haunted Houses Events cannot be held accountable for any lost, damaged or stolen personal items.